It is very natural for a bearded dragon to shed its skin as it grows. Shedding usually occurs more often with baby bearded dragon because as they go through rapid growth the skin will shed off more. There is no set time to determine when a bearded dragon will begin shedding. It all depends on how fast the lizard is growing and how old it is. Adults do not shed as much as younger ones because they are not growing as much. Many times when shedding begins the bearded dragon’s color may darken or dull. It’s behavior may change, such as it could not eat as much, or not at all. Don’t worry – this is all pretty common when it is shedding. Although shedding pretty much happens on its own, there are a couple things you as the the owner can do to help speed up the shedding process. 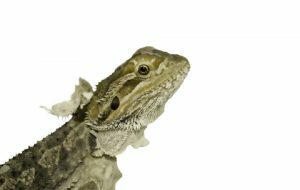 Here are a few things on what to do for a shedding bearded dragon. It is always a good idea to mist your bearded dragon several times a day. It helps the skin stay moist and helps to keep it hydrated. When it begins shedding you should increase the frequency of the misting. The misting will soften the skin making it much easier for the bearded dragon to shed. Bathing the bearded dragon more often will also help promote shedding the loose skin. For a baby beardie, a bathroom sink might be ideal for baths. Fill the sink with warm water (make sure it isn’t too hot) and allow it to play in the water for fifteen to thirty minutes. 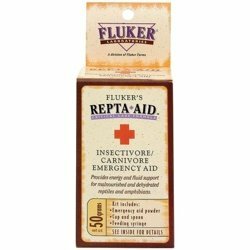 This will help to really soften the skin and make shedding much easier for it. Once it begins shedding it is a good idea to give it a bath once every other day. There are quite a few shedding aids available to help your bearded dragon with shedding. 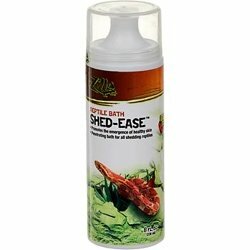 Zilla Bath Shed-Ease is a great shedding aid that moisturizes the skin and promotes healthy new skin for the bearded dragon. 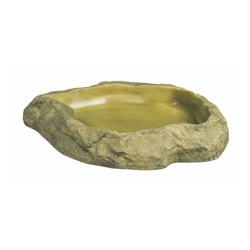 This is added to the bath water and can help tremendously with shedding after a twenty minute soaking. 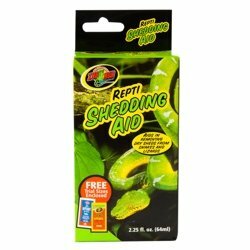 Another shedding aid that works well is Zoo Med Repti Shedding Aid. 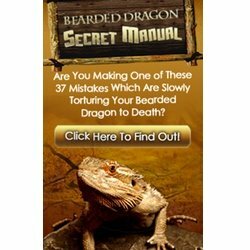 It is a spray that is misted on the bearded dragon’s skin a couple times per day. Most of the time frequent misting with water and baths is enough to help it get through shedding, but in some cases the shedding aids might be needed. If your bearded dragon begins shedding, never ever pull the skin off yourself. Let nature do its work. Pulling the skin off before it is ready can injure your pet, and could cause bleeding and infections. It is tempting to pull it off the loose skin, but it is better to let the skin come off on its own. My beardie has dry skin in his nostrils like maybe it got stuck during a shed . I’ve bathed and bathed along with using shed ease in the water .He doesn’t show any SOB but I worry he cant fully get air in or out like he should, any suggestions? I helped my beardie with some skin, by picking it off because he couldn’t fully open one eye and the skin in his nose was thick. He was so chill and relaxed about it, and nothing bad has happened. you could have used a wet paper towel and dab at the skin, that helps never peel it off. he may look fine to you but how would you like your skin ripped off? Just livhtly pull off the dead skin sorry if you got your answer to long i am 12 but I have 12 pets and I know how to take care of them all I have snakes geckos fish a bearded dragon, bunnies and I had cats also I’m getting a boxer puppy so I hope I helped. Really helpful thanks, this was my first time seeing my bearded dragon like this, he is two and his name is smaug. Last year I baby-sat a 2 year old male bearded dragon, his name was Rocky. Really adorable little guy. He didn’t shed as often, obviously because he was older, but it was kinda odd when he would shed. He would get really agitated and basically chew on anything he could find. He had plenty of greens and crickets but could help but chew on wood and his hammock. Now I have 2 baby’s and they are the best things ever. Xander and Cleo are about 2 months old and shed weekly. When I handle Xander and he has patches of skin, he likes to do a kinda “doggy role” and roles around in my hand and on my lap. Any idea’s? It could be he is just a little weird but I just wanna make sure its nothing I need to be worried about. Thanks! Is it bad for my Bearded Dragon to be outside in the sun after shedding? How do I help my female bearded dragon she’d her skin on her feet all of her other body parts have shredded but her feet have not any tips?? Bathe her in warm water for at least 15-20 minutes to help soften and loosen the skin. It works especially well on the feet and belly areas. If you dont see improvement after bathing every other day for a week, try some of the shedding aids that are mentioned in the article. 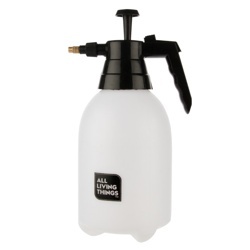 Be sure to mist her once or twice a day to keep the skin hydrated and easy to shed off. You can soak her in a warm bath and help her/him by lightly and carefully pull the skin off the toes and then when its on her/his feet just leave it alone then see if the skin is still there or not if it is do this over again soak her/him then pull the skin lightly also gentilely. I have used a toothbrush in the bath to gently help the skin loosen. I don’t put pressure on the toothbrush I just let it glide over his skin. He likes it and it really helps on the feet and toes. Also frequently misting him with a water bottle helps too. I have a 1 month old beardie named Rex , after I bathed him for the first time he is showing signs of shedding, since he started shedding DIRECTLY after being bathed I think I did something wrong while bathing him for the first time!?!? He(she,it) is also only shedding the body not the legs,head,or most of the tail…. is something wrong? So recently my female bearded dragon started shedding Yesterday and Shes not been eating or basking, shes been hiding in her log, is that normal? Can you please help I may have accidentally peeled off a price of my beardies shed that wasn’t coming off for weeks! There is bare skin there, I learned my lesson and I won’t do it again! I just want to know what I can put on there to heal it and his scales grow back! Is Silver sulfadiazine ok to use? It’s just a small spot, but I’m worried! Water doesn’t help him shed! Where can I get that shed solution to put in his water?